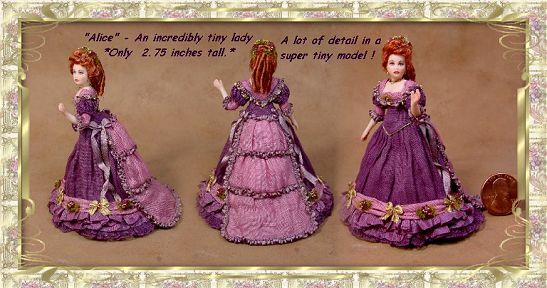 Here is a tiny 1/2' scale lady doll I did quite awhile ago. Her name is Alice. I don't do tiny dolls very often but I loved the challenge of getting a lot of scale and detail into such a small doll. Her face was the size of a pea or small bean. La escala 1:24 es muy difícil, tu dama es hermosa y con muchos detalles. Amazing the minute detail you can achieve in such a small scale, Gina. Truly breathtaking! She is beautiful, amazing job, love all the detail!!!! Hi, I liked your blog and I personally invite you to join htttp://www.coollectors.com - The World's Free Collectors Zone. Beautiful work, Gina! So teeny doll! 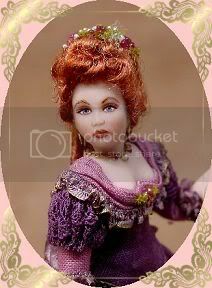 I think the doll is beautiful! the face and the dress are wonderfull !! congratulations. Ona jest przepiękna! Zachwycająca i cudowna. Uściski! Hi, Welcome to my miniature doll blog. I hope you will enjoy visiting often. 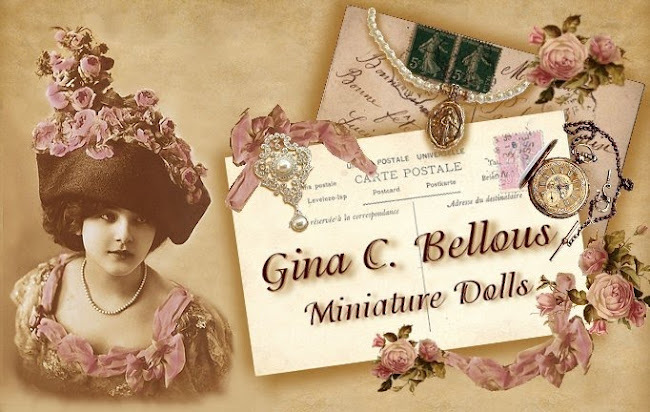 If you have any questions about miniature doll making, just ask! I am here to help and if you have great ideas or answers to any of the questions, please feel free to offer your comments! 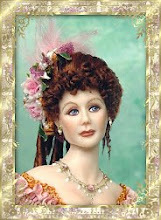 I will be posting any new doll kits, specials, or supplies I have available on a regualr basis! Please sign up to "Follow Me" and you will be the first to know about any new items posted! Miniature Doll - Shoe Tutorial - NEW!